Things to do, see, enjoy. 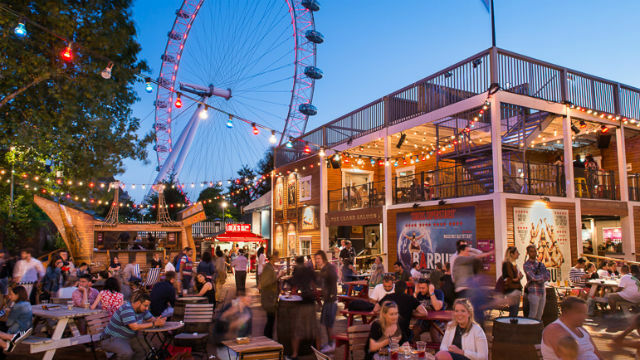 Enjoy a fun-packed festival of live entertainment and al-fresco eating and drinking at Underbelly Festival in South Bank. 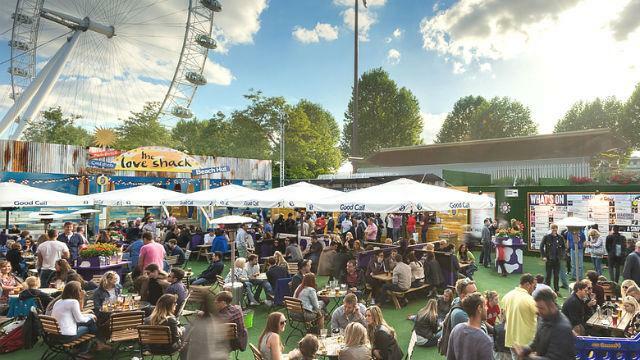 This year, Udderbelly Festival joins forces with neighbouring festival London Wonderground to present a huge season of the hottest live acts under one new name. Stretching throughout the summer, the festival stages affordable circus, theatre, cabaret, comedy, music and children’s shows on the south bank of the Thames. 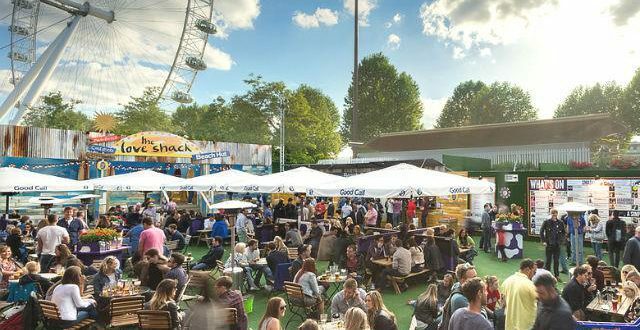 Plus, drop by the free-to-enter festival site to tuck into street food from the riverside vendors and grab a drink at one of London’s biggest outdoor bars. This year’s line-up of top comedians includes Richard Gadd (9 May), Rory Bremner (10 May), Andy Zaltzman (18 May-20 Jun), Sara Pascoe (25 May) and Al Murray (16-17 Jun). While Best of The Comedy Store (6 May-15 Jul) gives a platform to new and rising comic talents. Plus, try your luck in Margaret Thatcher Queen of Gameshows’ dazzling musical comedy gameshow (12 May-2 Jul). Embark on a quest against evil with Knightmare Live!, a comic stage adaptation of the classic TV programme (21 May-11 Jun). And get ready for a truly “experimental” science comedy show with Festival of the Spoken Nerd (24-31 May). 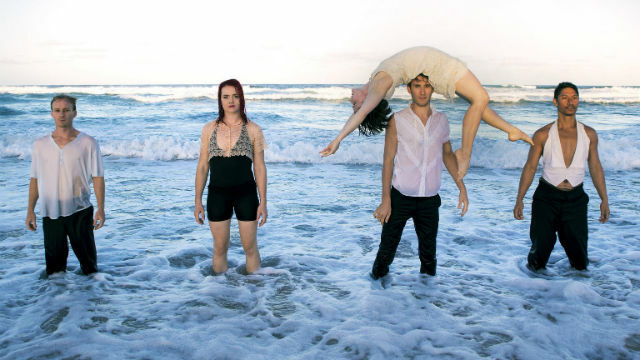 Watch playful and hilarious circus acts with Elixir (4-9 Jul), And The Little One Said… by Jess Love (13-18 Jun) and Alula & Jacksons Lane: HYENA (6-11 Jun). Or enjoy weird and wonderful variety acts, including Le Bouge Néon’s sultry burlesque routine against a backdrop of light projections (19 May-21 Sep); Black Cat Cabaret’s dark and daring show (20 May-22 Sep); and modern burlesque show, House of Burlesque, mixing glamorous cabaret with new technology (13 May-15 Sep). It’s not just adults who can have all the fun, as Underbelly Festival puts on a range of shows and activities specially designed for children and families. Be mesmerised by a spectacular mix of circus and street dance in Metta Theatre’s Jungle Book (1-24 Aug), or by The Amazing Bubble Man‘s fascinating show of bubble tricks (29 Apr-4 Jun). Enjoy family-friendly performances by some of the best stand-up comics, cabaret acts and sketch groups in Comedy Club 4 Kids (7 May-15 Jul) or giggle away at Comedy in the Dark for Kids (30 May-9 Jul). And take to the dancefloor for a boogie with your toddler at Monski Mouse’s Baby Disco Dance Hall (7 May-24 Sep). Access to the outdoor bars and food stalls located on the Underbelly Festival site is free. Paid-for tickets are required to attend the live shows. New Cross Inn Hostel is located in the heart of London a short distance from the London Bridge. Rooms were clean and staff was very friendly. We had a reservation for a room for 4 people with shared bathroom and they gave us a complimentary upgrade to a very nice suite. Bathroom and floors were very clean. The breakfast is basic and the wi-fi was good in the suite. Great location! Great rooms! Paid direct and saved a few bucks per night. Staff was friendly. Had a good experience and would stay again. This hostel was great for me! Really inexpensive for London plus breakfast. I just needed a place to rest so I wasn't looking for anything glamorous and this fit the mould. Staff was cool friendly travelers like me willing to go out and have fun. No frills place but great stay. The Assistant manager also was really helpful fixing a booking error I made! The hostel was good. There is no elevator so be weary if you've got a lot or large luggage. Breakfast is free and consists of boiled eggs, bread with various spreads, cereal, milk, and coffee. I stayed in a four person shared room on the top level so it was a bit of a hassle bringing my two large suitcases to the top. But once there, the room was clean and comfortable. The bunks could be updated as they are these older metal ones that creak a fair bit. The mattresses were also a bit then. But the sheets were clean, and they provide free towels. The bathrooms were also very clean, and I believe they clean them twice a day. They're all different from one another and beware that the one with a tub's shower won't work consecutively. As in don't turn it off and expect it to turn back on right away. The service was friendly. And they provided the use of a luggage scale for free. Location wise they are also very close to bus stations and the train station. Overall it was a good hostel to stay in. Very good for how little we paid! Pros: very close to public transit, comfy beds, a decent amount of bathrooms, decent free breakfast, very friendly service, Cons: bathrooms were kinda gross (mold, clogged shower drains), windows didn't close properly, sirens go all night If you're planning on going here remember: it's a hostel, not a hotel Also, if you want a quieter room make sure you ask in advance because they will move you to a higher room! The ground level is kind of loud on weekends.